Tweens are a tough age group to please. 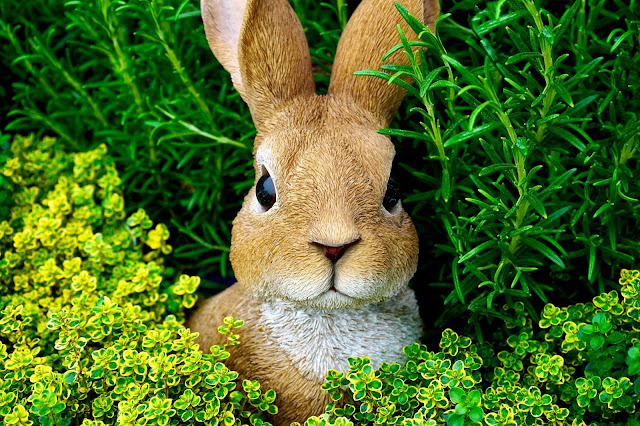 They are no longer "little kids" who are excited by jelly beans and chocolate Easter Eggs--but, they are not entirely ready to forego the Easter Basket experience completely like their older teenage girl counterparts. So. Moms and Dads face a bit of a dilemma. 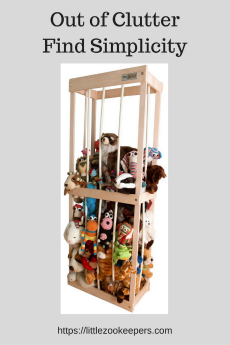 What do you stuff in the Easter Basket that isn't too childish or too overloaded with candy for your tween-ager? 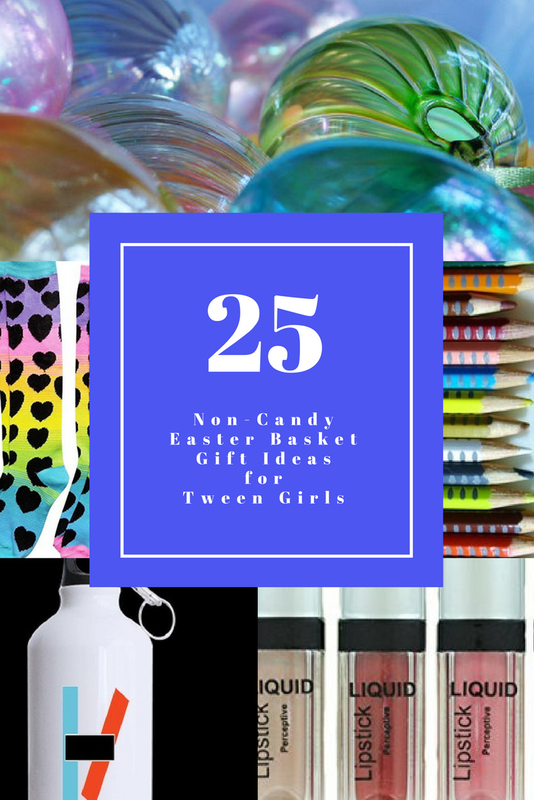 We are sharing 25 Non Candy Easter Basket Gift Ideas for Tween girls that will please the tween without breaking the bank! Earbuds. My kids use these at school. They use earbuds at home. They use them on road trips. And--earbuds break so easily! Tuck a fun pair of earbuds in the Easter Basket. Maybe a pastel color like these fun, colorful earbuds with a cute little storage box. Gift Cards. You do not need to load up $100s of dollars of gift cards into the Easter Basket--but, maybe a $10 or $15 iTunes Gift Card or Bath & Body Works--or even local, movie theater gift card loaded with a couple of movie tickets or an Amazon gift card. Magazines. While everything is readily accessible online--tween girls still like a real magazine every now and then with pull-out photos of their favorite pop stars or fun little quizzes. We have given individual copies of Girls World or subscriptions to magazines like J-14. Flip Flops. I frequently shop at stores like Old Navy for flip flops for the kids. Easter brings the beginning of Spring--and flip flop season. Tucking a pair of inexpensive flip flops gets the kids ready for warmer weather. A New Swimsuit. Tweens are often still at the age where Mom and Dad can choose the swimsuit without too much grief--and a swimsuit tucks easily into an Easter Basket. This year, the girls need new cover-ups as well--and both roll up nicely to fill Easter Basket space! Coloring Books. While adding a Little Mermaid coloring book will not put you into your tween's good graces--coloring books are no longer out of the question. Just choose a more "grown up" coloring book--and add a brand new package of colored pencils or gel pens instead of crayons. Pencil Puzzle Books. You probably won't be including those "Welcome to 5th grade math" workbooks these days--but, you can still slip in some learning opportunities in the form of crossword puzzle books, mad-libs, Sudoku puzzle books or word searches. Just be sure to include a fun pencil or a pen with the books. Jewelry. This doesn't have to be "break the bank" style jewelry. Just tuck in some fun earrings or necklaces--or unique chokers or such from local tween/teen stores--or even handmade from sites like Etsy. Nail Polish. Again--you don't need to buy expensive nail polish. Just add in an assortment of nail polish colors--and maybe a nail polish remover sponge/jar . Journal. Your tween is probably past the "Dear Diary" stage--but, a fun, brand new journal may give them a new outlet for that tween angst. My daughter's friend recently gave her a journal to write notes to the giving friend as each day ends. Then they exchange the journal and the friend writes for a few days. You could even make this "sharing" journal for your daughter to write back and forth to you. Travel games. Travel sized games are perfect to pack up for road trips, camps or sleepovers. They are also inexpensive and sized perfectly for Easter baskets! Local Event or Activity Tickets. Maybe your daughter would love tickets to an upcoming play or theater show--or maybe tickets for the local open skate time at the ice rink. Pick a local event or activity and include a couple of tickets for a fun outing. Healthy Snacks. Pack in your tween's favorite healthy snacks--like snack sized packs of popcorn or energy bars or protein snacks. A Water Bottle. My girls always have a water bottle in hand. Whether they are off to a dance class, a soccer meet, a cross country practice or just off to school--there is always a water bottle in their bags or back packs. Add a special water bottle to the girls' Easter basket. (My tween LOVES Twenty One Pilots--so she may be finding a new Twenty One Pilots water bottle to add to her collection this year! Device Chargers. These things are just as dependable as earbuds in our little corner of the world. I buy a new iPod, iPhone, iPad charger every few months....sometimes...I buy two at a time. Our cat eats them. (Literally.) Our kids lose them. They just simply fail. I almost always include a new charger in every year's Easter Basket! Hair Accessories. Whether your tween is into hair clips, hair elastics for pony tails or head bands or other creative hair accessories; you cannot go wrong with random hair accessories in the Easter Basket instead of candy! I like the Goody Simple Styles kits. They are easy to use and fun for the kids to try different hairstyles. School Spirit Wear. 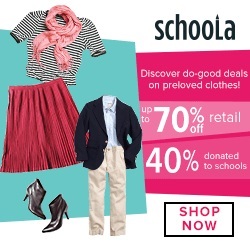 Easter is the perfect time to toss in a new school-spirit wear piece of clothing! Whether it's a t-shirt or shorts--or a water bottle or canvas bag--you can find something school-spirit-friendly to add to your child's basket, either in a local sporting goods shop or online. Books. 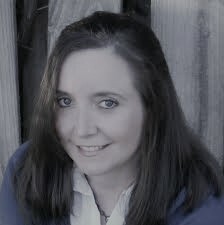 Either buy your tween the next paperback in her favorite book series--or load up her iPod or iPhone with ebooks. Movies, Music or Video Games. My girls still like DVDs and BluRay discs--and new video games for the Wii or gaming system still catch their interest. Sometimes, I simply create a folder of music for them to load onto iPods or phones. Make Personalized Coupons. Even my teens still think these are kind of fun. We make a handful of "coupons" for activities or special events. My girls receive coupons to skip dance or violin practice for a night--or coupons for special events at the zoo or other local places and spaces. The girls are able to redeem these coupons as they desire--and we are obligated to comply if we can stuff it into the schedule! Special Room Decor. Maybe you see a fun decal set or a cute throw pillow or a DIY craft kit that will fit into the Easter basket. My oldest daughter received an easy to apply "chalkboard" panel that she can attach to her closet doors! Fun Socks. My girls love socks--and they always need them! Whether you buy the popular "mismatched" socks--or choose crazy patterns and colors--you will likely be able to stuff several new socks into your tween's basket! New Necessary Gear. My girls always need something for their various sports and after school activities. Maybe your tween needs soccer shoes or socks? Maybe you need Irish dance sock glue or socks? Maybe new ballet slippers or cross country spikes? Fill some Easter Eggs. I fill plastic Easter eggs with small makeup items like lip gloss or eye shadow. Sometimes, I add in rings or small jewelry pieces--or even hair accessories. Tweens are at a fun age for things like this--because it combines "grown up" gifts with that childlike fun aspect of the holiday! Money. Really. Just Cash. I have been known to create origami money gifts--and also been known to simply fill plastic Easter eggs with coins or dollar bills. Some years I find a cute wallet or tiny purse and add a little cash to it for the Easter basket. Easter baskets really can grow with the kids--and they can be just as much fun as they were when the girls were little! These candy-free Easter basket gift ideas for tween girls have worked well for our family for many years. They are also easy to "update" as your daughter grows into those teenage years too! Disclosure: Our posts frequently contain affiliate links. We may receive slight compensation from links within our posts. We do; however, only link to items which we recommend and believe our readers will enjoy.